A must try when you're in the winery. If the flavors don't blow you away the low price sure will! Flavor Profile:Sweet with very light pungency and a thick consistency. Tasting notes of raisins, plum, and some smoothness from Oak Barrels. Food Pairings/ Use: Paired with any fine cheese or fruit. Finishing all dishes including salads, filet mignon, seagood dishes, grilled vegetables, certain desserts, vanilla ice cream, gelato and many more. Great for salad dressings and marinades. 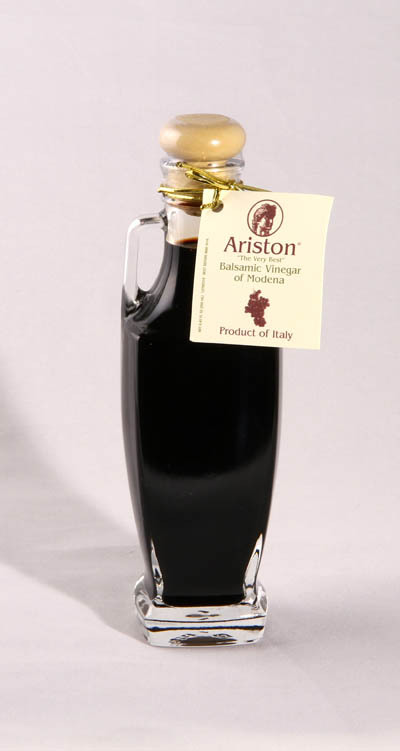 A super premium quality balsamic vinegar that is sweet and syrupy with a very level of pungency.